The car industry is always changing, shifting, and improving to meet the demands of the customer, but sometimes the companies like to mix things up and do what they do best: innovate and create. We at John Hughes love to keep up with all the latest trends in the automotive industry. From Holden cars to Mitsubishi cars, every company has a selection of interesting concepts – we take a look at some of the best and most bizarre for 2013. 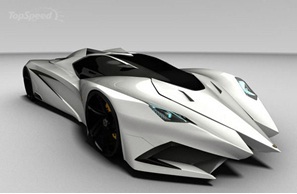 As Lamborghini celebrates its 50th birthday in 2013, a transportation design student from Staffordshire University, Mark Hostler, decided to pay homage by designing a concept car. This unnamed concept’s front, bonnet, and rear were inspired by the Lamborghini Countach, while the wings echo the Miura’s design. Designed to use a 5.0 litre V12 engine, this concept is powerful as well as sleek. Although the car hasn’t come to fruition, we still hold hope that someone will draw inspiration from it and create it – one can dream, right?Out of this world. Of course, in these days, the car world is increasingly conscious of fuel emissions, the environment, and sustainable solutions for drivers everywhere. Because of this, it’s no wonder that many concept cars keep this in mind when designing their latest experiments. 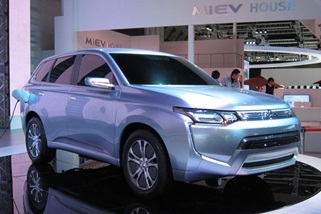 Mitsubishi’s Concept PX-MiEV II was first unveiled in 2011, and has since made strides to fruition in the 2013 car space – it is being released as the plug-in hybrid version of the 2013 Outlander. A hybrid of good looks and good technology. 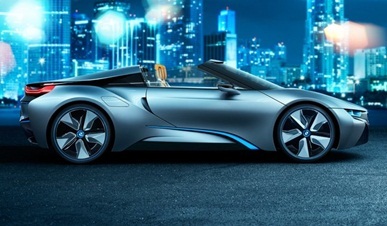 Another car boasting an alternative fuel source, the BMW i8 is a sleek and futuristic plug-in hybrid…sports car. Yes, you read correctly – a sports car. Born from the BMW Vision EfficientDynamics Concept, the i8 is speedy, efficient, and holds a whole load of flair. In initial testing, the car accelerated from 0 to 100 km/h in under five seconds, and can even travel up to 35 kilometres on electricity alone. While the concept hasn’t been finalised yet, it’s exciting news for car enthusiasts and environmentalists, and definitely a step in the right direction for sports cars (which are often fuel-munching monsters!). 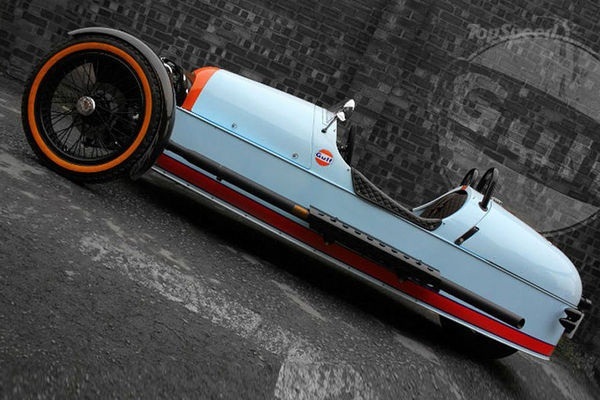 Three wheels, two colours, one interesting design. Here’s something completely different (and slightly bizarre)…the three-wheeler car company is releasing a special edition car that pays homage to Morgan’s participation in the 24 Hours of Le Mans with OnOak racing. Painted in traditional Gulf Oil colours – blue and orange – with orange wall tires, the car also has black leather seats and a limited edition badge on embossed leather stitched onto the steering wheel. Morgan is only going to release 100 units of this model, and each will be priced at around $46,000USD. What’s your favourite concept car for 2013?